For those of you whom have kept up with our in-house game, our Fearsome Avengers quickly diverged from the Marvel Mainstream Universe. House of Madness is replacing House of M in what will soon be shown to be a big way. That’s the beauty of Marvel Heroic RPG, or any role-playing game. You don’t have to do things the way the comics did them. You want Thor to keep his hammer, that’s your call. You want Spider Island to have resulted in the victory of Queen? Disturbing, but hey, it’s your universe. 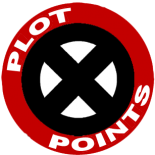 You want Cyclops to have rejected the Phoenix Force from the getgo and Xavier to have lived through the AVX? Go for it. This is the first in what I hope is a series of posts creating jump off points for your games to diverge from the mainstream Marvel universe. If there are two plot devices I consider to be the cheapest and most likely to make me quit a story, they are “I Lost My Memory,” and “Mind-Body Duality: Body Swap.” Superior Spider-Man used the latter. They lost me before issue one. The idea of Doctor Octopus trying to become Spider-Man and steal his identity, though, is a good story idea. But I’d have done it differently. Doc Ock knows he’s dying. He contacts Jackal and hires him to grow a Spider-Man clone body for him. Octavius then surgically transplants his brain into that body. He then tries to steal both Peter’s and Spidey’s identity, with the real Peter (still in his own body) trying to uncover who this new Spidey really is. Take this idea and run with it. Will Spider-Ock become a good guy, or remain a villain? Will he replace Peter or will they come to peace? It’s your story. I started gaming in high school using FASA's Doctor Who RPG. I have the most experience using TSR's Marvel Super Heroes RPG. Currently I am running the House Of Madness campaign here at Plot Points. We’ll have an update on AvX in the near future. Any chance you guys will be running a campaign of AvX when you release it? I would love to play! This entry was posted on August 31, 2016 by jpjolin in What If? and tagged Marvel Heroic Roleplaying, What If.